Multi Recharge LAPU & API based Software For Prepaid, Postpaid, DTH recharge. GlivyTech services API for Mobile Recharge is quick and easy recharge API. Any skilled programmer can easily integrate this mobile recharge API using our API manual. We support all mobile, DTH and data card recharges in a single API therefore all the recharges can work with a single Mobile recharge API. We offer free mobile recharge API integration service with our enterprise solution. jayman infotech offers :All Mobile and DTH Recharge with one SIM Online mobile recharge, Online mobile ... MultiRecharge Software SIM for making all recharge by one balance. Direct operator API for Prepaid mobile recharge, DTH recharge, Postpaid, utility and bus ticket booking API. 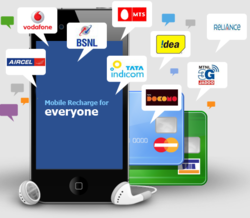 Recharge mitra provide Mobile recharge software that facilitates instant recharge of mobile whether it is prepaid and postpaid, DTH, data card, utility bill payment of all the network. We cover all operators Mobile, DTH Data Card Bill Payment.